A two out single off Fernando Salas in the ninth and a two out double and single off Ryan Franklin in the 11th inning helped lead the San Francisco Giants past the Cardinals in a 7-5 final. Nate Schierholtz was the hero, delivering both the tying hit in the ninth and the go-ahead hit in the 11th. San Francisco, which came from behind twice, had a season-high 16 hits. Allen Craig continued his hot tear at the plate. 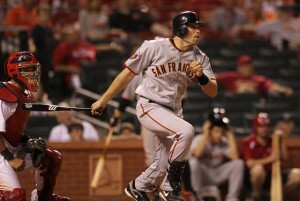 He delivered a pinch hit two run homer that put the Cards up 5-4 and ended Tim Lincecum’s night. The two-time NL Cy Young winner struck out nine but gave up a career high-tying 10 hits and threw two wild pitches, one of them scoring a run. Meanwhile Craig has been a Giant killer. He’s 18 for 40 (.450) since May 19 and is 5 for 11 with a home run, three doubles and four RBIs in the first three games of this series. The game was delayed with two outs in the bottom of the 11th when two sections of lights on the first base side went out, pausing the action for 16 minutes. 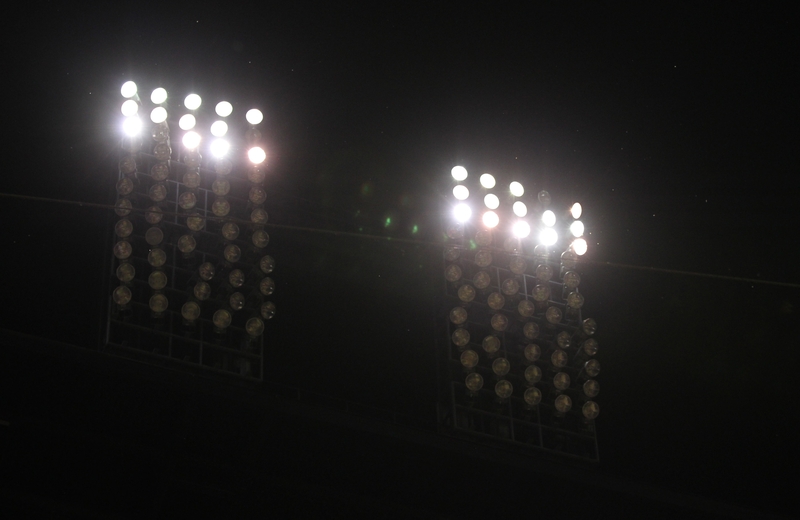 When they started back up again, Craig hit into a game-ending double play.